As a sign of deepening commitment, Pentagon and State Department officials expressed support for a proposal in the US Congress to expand a cash rewards programme to include hunted fugitives such as Kony. At the same time, Mr Obama promised in a speech commemorating the World War II holocaust that US military advisors will continue assisting African forces in pursuit of the LRA. About 100 American military advisors — mainly members of US Army Special Forces teams — were dispatched earlier this year to Uganda, South Sudan, the Democratic Republic of Congo and the Central Africa Republic. They are providing intelligence and field support for army units from those countries that are searching for Kony and his estimated 250 followers. A US deputy defence secretary told Congress last week that the advisors are providing $35 million worth of logistical support, supplies and services to the Kony hunters operating in the four African countries. The legislation to expand the State Department’s War Crimes Reward Programme would enable Secretary of State Hillary Clinton to determine the amount of money to be given for information leading to Kony’s capture or killing. 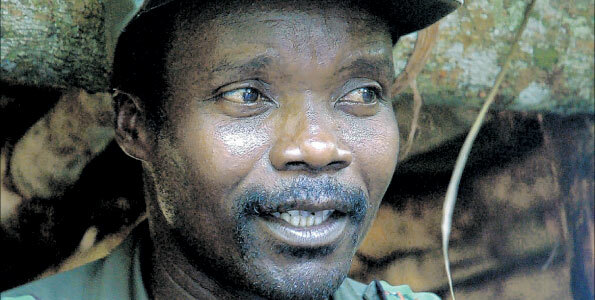 An Associated Press story last week raised the possibility that Kony may have died somewhere in the bush. An AP reporter accompanying Ugandan units hunting for Kony in the Central African Republic cited scepticism and boredom on the part of rank-and-file soldiers. Kony has not been heard from since 2008. Ugandan officers insist, however, that he is still alive. “Col. Joseph Balikuddembe, the top Ugandan commander of the anti-Kony mission, said the war on the LRA cannot be rushed,” according to the AP account. These conditions are said to entail life-threatening dangers such as attacks by elephants and crocodiles.